BASIC is the most popular beds and accessories put together in a cost-conscious collection. The design is simple and light, which adds an elegant touch to any room. The BASIC collection is for anyone who is looking for a simple choice and only wants a selection of possibilities for future modification. In BASIC you can find the most popular beds, such as the practical junior bed, the fun halfhigh bed – with or without a slide, the cozy canopy bed or the cleverly designed high bed with a desktop and lots of floor space underneath. Most of the models in BASIC are modular. This means that the bed is built using a junior bed as a base with a module attached to it. For instance, if you purchase a halfhigh bed you would be able to use it both as a junior bed and as a halfhigh bed, because the module is easy to attach or remove. A small selection of beds is also available in a non-divisible and cost-conscious edition. PREMIUM is the luxury collection with higher comfort, even better security, better durability and an almost infinite selection of beds and accessories. PREMIUM has a lifetime warranty on manufacturing errors and a 5-year availability guarantee on all beds and accessories. The collection is for anyone who is looking for top quality and who would like to be able to modify the bed as their child grows. PREMIUM is an extremely flexible and durable system. All designs take their point of departure in the junior bed and add modules and accessories to build the bed. This gives you the freedom to select and reject, change your mind and rebuild as often as you please. The strong focus on security, comfort and quality is particularly obvious in the selection of premium quality accessories. 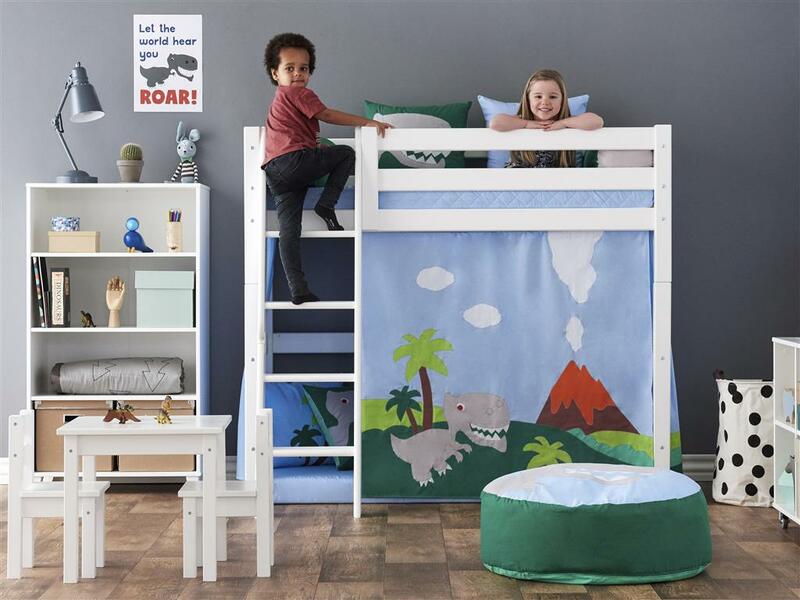 You can purchase a thicker mattress, our slatted bed base in molded wood, a plethora of security rails as well as a slanted ladder with profiles on the steps for a more secure and easier climb. The flexibility in the collection and the durability on the beds enable PREMIUM to serve as a “hand me down” to younger siblings whilst maintaining that special feeling of getting a new and personalized bed.